sycamore stirrings: Christmas Book Favorite! 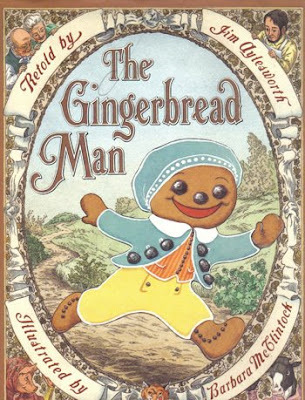 The tale of the gingerbread man is close to my heart. We own many versions of this tale, but this one is my favorite. The gingerbread man is especially brash in this version, shouting a sassy little chant to his assailants in addition to the traditional run, run as fast as you can. The old time looking illustrations are darling too. 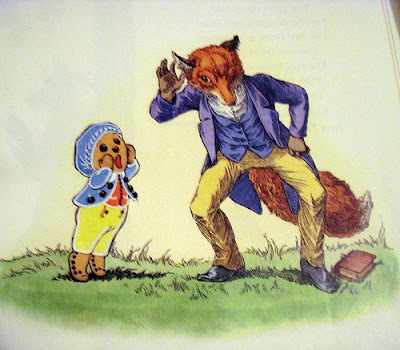 The animals (especially the fox) remind me of this artist's illustrations. The Crafty Crow as a cute gingerbread beanbag project to go along with this book.